Racer X Films: Sexton and A-Mart at Moto Sandbox April 18, 2019 We headed to Florida and got the chance to see Chase Sexton and Alex Martin in full training mode as they shred around a pristine supercross track at the Moto Sandbox. 3 on 3: Troll Train Edition February 14, 2019 Jason Thomas, Jason Weigandt, and Steve Matthes give us their thoughts on the first glimpse of the new JGR/Yoshimura Suzuki Factory Racing rider. Gallery: JGR/Yoshimura Suzuki Team Shoot December 29, 2018 The JGR squad for 2019. JGR/Yoshimura Suzuki 250 Lineup (and Gear Deal) Announced December 13, 2018 Well, we've been waiting for final confirmation on the 2019 250 lineup for the JGR/Yoshimura Suzuki team. 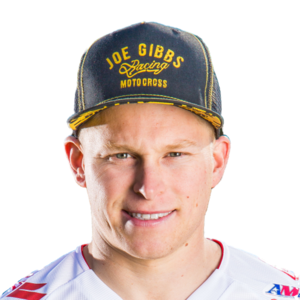 Open Mic: Alex Martin December 11, 2018 The new JGR Suzuki 250 rider on his off-season approach. The List: 2019 250 Silly Season Guide November 7, 2018 Your first full list of who is where. On This Day in Moto: September 28 September 28, 2018 Team USA places third in Latvia, the Trans-AMA opener at Road Atlanta is won by Jim Pomeroy, and more. Observations: Montreal Supercross September 19, 2018 Matthes goes back north and gets the scoop on Malcolm, A-Mart and JGR, Filthy, Hampshire, Hanny, and more. Insight: Montreal Supercross Recap September 16, 2018 What went down in Canada on Saturday night.